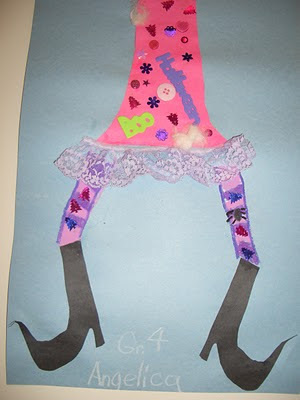 This art lesson was by far the most fun of the entire school year. 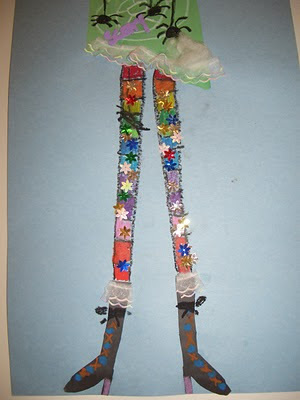 I pulled out a treasure bag of collage materials which included lace trims and sequins of all shapes, sizes and colors. 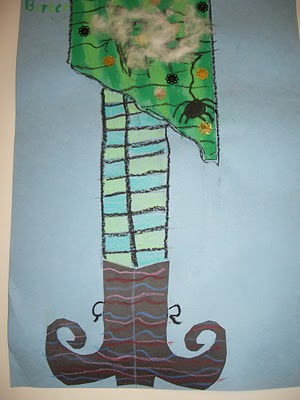 The students cut out such interesting shapes for the witches boots from black construction paper. 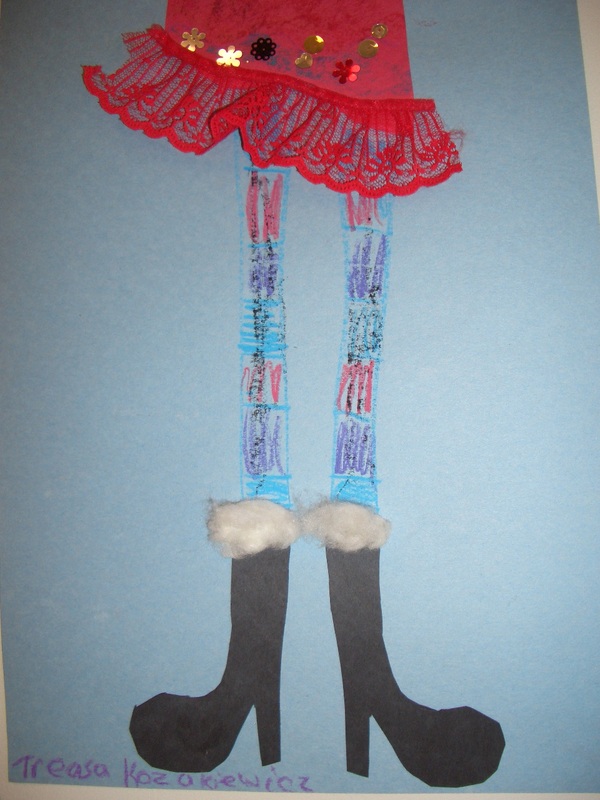 The stockings were decorated with pastels and the skirts were cut from various colors of construction paper and then glued to the top of the paper. Each piece of art work was more fun then the last. Just thought I'd post it now at the end of the school year since it was my favorite. Did boys want to do this too? I just wonder if they would see it as a 'girlie" art project. It depends. I think you need to know your students. Surprisingly enough my boys didn't mind and they were the ones who chose the black lace to decorate their work with, LOL! Boys will be boys!